Welcome to the Treasure Valley's highest rated mattress store! Mattress RX has the Best Deals Everyday! Mattress RX is a locally owned and operated business that is dedicated to providing affordable mattresses. Whether you are looking for the latest in Hybrid-Gel, Memory Foam or Classic Coil mattresses It’s our business model to price our mattresses lower than any other mattress store in the Boise Treasure Valley area, and because of that, every day of the year we offer you the opportunity to save big! We stock all the leading brands such as Instant Comfort, Serta, Dream Haven, Malouf Sleep Products, Bed Tech, and Simmons. We all stock all styles of mattresses from Memory Foam to Classic Coils. Natural latex foam is a very comfortable and supportive sleep surface. It conforms to your body, offering support where needed to help keep your spine in alignment throughout the night. Natural latex provides cushion for pressure points like hips and shoulders allowing for a comfortable and restful night’s sleep. Memory foam mattresses overall rate as well as or better than other mattress types in owner satisfaction. Motion isolation and pressure-point relief are above average. Memory foam molds to the body in response to heat and pressure, evenly distributing body weight. It then returns to its original shape once you remove the pressure. Mattress coils, also known as mattress springs, are coil springs used in a mattress. Coils are primarily used in the core of innerspring mattresses. A modern innerspring base also allows for natural body movement and limits motion disturbance which is excellent for people sleeping with a partner. Hybrid mattresses combine two or more support systems, usually memory foam along with an innerspring coil system. Hybrid mattresses have pressure relieving benefits of memory foam while retaining the classic feel of an innerspring mattress. A new era of adjustable foundation is here. The BT 7000 is our most advanced adjustable foundation to date. 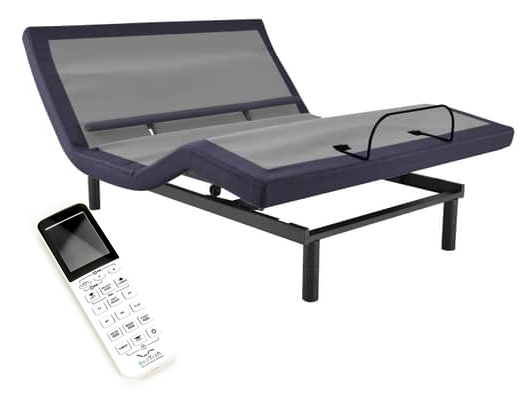 It comes complete with bluetooth and BedTech App making customization easy and enjoyable. Come by the store to get yours today.